Aspergillus mold is a very common type of fungus found virtually all over the world. Allergic aspergillosis is a condition that occurs when people inhale the microscopic spores of aspergillus, causing an immune response in the body that can include a high fever, asthma attacks, and coughing up blood and mucus. 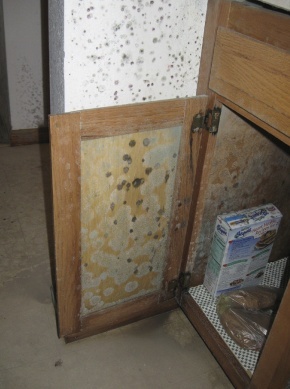 Exposure to aspergillus usually causes only minor symptoms in healthy adults, but some people are more susceptible to health problems related to exposure to this type of mold. Those at greatest risk include the elderly, infants and young children, people with disorders of the immune system, people with asthma, and people with cystic fibrosis. Those recovering from serious illnesses or surgery are also at increased risk. Even healthy adults can be negatively affected by exposure to aspergillus, though. Bleeding in the lungs, which can be fatal. Infection and destruction of facial bones – when aspergillus causes a sinus infection, the infection can spread to the facial bones around the sinus cavities and if not treated promptly, can damage and destroy the bones. Sepsis – this is a serious infection that spreads throughout the body, ultimately causing organ failure, which can be fatal. If you’re experiencing health problems you think may be related to mold exposure, see your doctor to get an accurate diagnosis and for treatment. Your doctor may order some tests to determine if exposure to aspergillus is causing your illness, including a chest x-tray, a test of any sputum (mucus coughed-up from the trachea and bronchi), and blood tests. In some instances, a biopsy of your lungs may be recommended. If it is determined that you’re experiencing symptoms caused by exposure to aspergillus, your doctor may prescribe oral steroids to help your breathing and to prevent or lessen the severity of asthma attacks. Your doctor may also prescribe antifungal medications like amphotericin B or voriconazole to fight infection in your lungs, but you’ll need to be carefully monitored by your doctor while taking these drugs because they can cause kidney and liver damage in some people. In order to recover fully from health problems related to exposure to aspergillus, you’ll need to avoid further exposure. 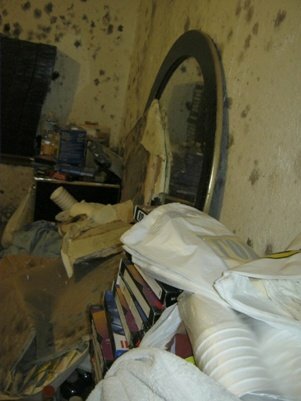 If possible, stay somewhere else until all of the mold can be removed from your home. If you must return to your home for any reason, your doctor may recommend wearing a special face mask to prevent inhaling any additional mold spores. However, to prevent symptoms from worsening, it is important to have all the mold removed from the home as soon as possible. To be certain that all traces of mold has been removed, you can have a certified professional come in to test your home for mold. For a list of certified mold testers in your area, follow the link. If you’ve got aspergillus mold or some other type of mold growing in your home, we recommend calling in a mold removal professional for a free consultation. The U.S. Environmental Protection Agency recommends hiring a professional to do the mold removal for you if you have mold covering an area greater than ten square feet, if you have mold in your household heating and ventilation system, or if you have health problems that might be made worse by exposure to mold. Even if you plan on handling the mold removal yourself, though, you can get some expert advice at no cost to you by scheduling a free consultation with an experienced professional. Follow the link for a list of mold removal professionals offering free consultations in your area.